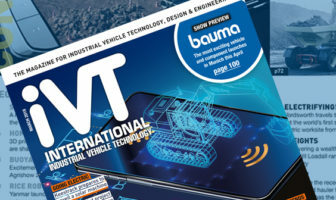 The leading innovators in the construction industry gathered at the Court Church of All Saints at the Munich Residence, Germany, on Sunday night (April 7) to mark the start of Bauma 2019, with the announcement of the winners of this year’s Innovation Awards. Fifteen nominees made it to this final stage, out of a total of 138 entries from 51 different countries. There were three nominees in each of the five categories: Machine, Component/Digital System, Construction Work/Process/Method, Research/Science and finally Design. The coveted Design award was scooped by Liebherr for INTUSI (Intuitive User Interface), which promises to transform the way in which construction machine operators are able to not just control, but communicate with, their machines – while their machines are also able to communicate seamlessly with other machines on the jobsite. 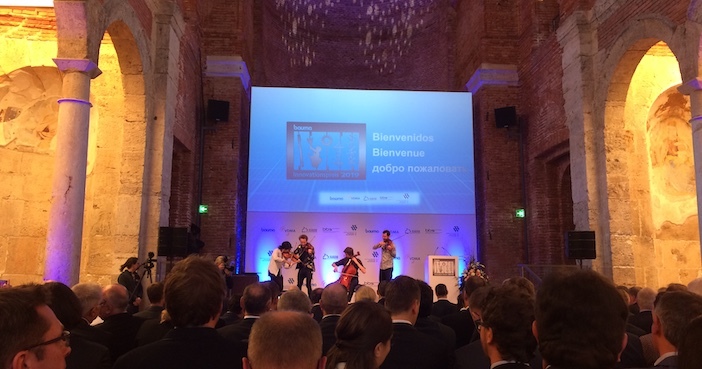 The winner in the Research/Science category was the Technical University of Munich (TU München), which impressed a jury of industry leaders and journalists with its augmented reality vehicle control concept, Driver Guidance 4.0. 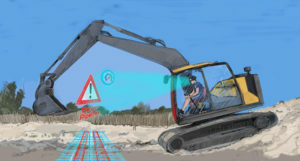 The system, developed in partnership with Holo-Light, MTS, VEMCON and Fritzmeier Cabs, makes use of mixed reality data glasses to superimpose 3D models over real-life landscapes and objects. 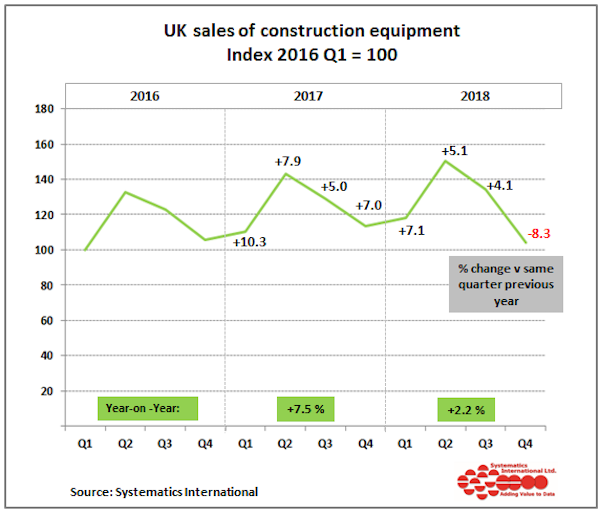 The system was praised for having the potential to deliver more efficient working methods, helping to avoid mistakes and reduce machine downtime and there was some excitement surrounding how such a system might soon be used in real-life situations. Layer Thickness Measurement system. This world-first solution uses a new CSMT-300 ultrasonic sensor to automatically measure the thickness of laid asphalt road surface, thus reducing the need for manual measurements. Thickness can be seen at any time by the operator. This helps to not only improve safety but also save on wasted material, creating better quality, more durable roads and saving over €1,000 (US$1130) per kilometer in construction costs. 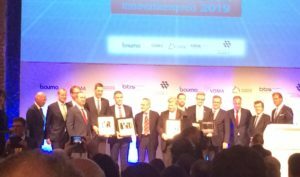 The Machine category was won by Herrenknecht’s E-Power Pipe, a boring machine that can lay cables without having to dig trenches, thereby meeting the growing need for connectivity around the world in a fast, efficient manner. Finally the Construction Work/Process/Method award went to Max Bögl Stiftung & Co for its Hybrid Towers mobile fabrication unit, which is able to build towers for wind turbines in the same location they are built, thereby radically reducing transportation costs.